What’s the most important part of a balloon? Though most of us have never thought about it, the first answer that comes to mind is the air inside it. After all, a helium-filled balloon is much different than one we blow up. Not to mention the fact that a balloon without air is no fun. 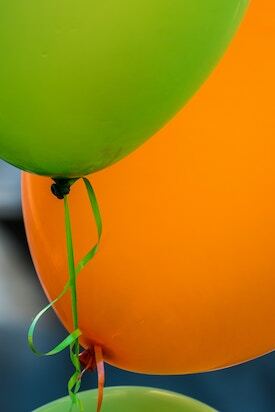 When disciple making goes well it’s like a helium-filled balloon. It changes the shape and substance of an individual’s life trajectory. Her being is set more and more on Heavenly and King Jesus’ priorities. With prayerful dependence, the disciple maker works to release the disciple from the things that bind her heart and affections to ungodly things. And just as a balloon is released into the air, an untethered disciple will go out to impact places that only God can foresee. Unfortunately, disciple making doesn’t always go well. Sometimes it feels like repeatedly filling a balloon with helium, only to see it transform into normal air. Like a poorly inflated balloon, the disciple lacks his own initiative towards God or movement towards others. Other times it feels like repeatedly blowing up a balloon, but upon returning you realize the went out as fast as it went in. Disciple making gone wrong is one of the most frustrating things I’ve ever experienced. Disciples who aren’t growing cause disciple makers to wonder what’s wrong. Often new disciple makers take it personally and quit for good. Others are quick to blame quality disciple making practices. I know one disciple maker who invested in men for years without seeing multiplication. He decided the problem was the context (one-on-one). He now disciples only in groups and multiplies curriculum instead of disciples. His balloon problem wasn’t the context, it was the tie. In disciple making a balloon’s tie is personal vision. While most disciple makers focus only on the “air” of building heart and developing skill, vision is the tie that keeps both from dissipating into the thin air of ineffectiveness. Vision is the ability to see what God could accomplish through a disciple who is surrendered to God and His plan for her. Such vision motivates, sustains, and builds resilience. When personal vision is missing, so too, is a disciple’s initiative towards God and especially others. The tie of personal vision is so important, that I begin developing it from the start. I let him know that while I care about him, I’m not discipling him simply for his benefit. This is not mentoring. I’m investing in him because I care about those he will disciple in the future. Such straight-forward communication may not be your style, but finding a way to set his sights on the goal is essential if you expect him to become a mature reproducing disciple. This concept isn’t mine, it’s God’s. In Genesis 12, He told Abraham to leave country, people, and family, but then immediately after told him that He’d make him into a great nation, and that all would be blessed through him. We see God do this repeatedly throughout the Old Testament, including to Isaac (Gen. 26:2-6), and Jacob (Gen. 28:13-15). Living in a culture of consumerism means that failing to tie in personal vision normally leads a disciple to believe that discipling is all about him, rather than about what God wants to do in and through him. If such a disciple produces fruit, it will be ornamental fruit—fruit that’s designed for others look at, but not for reproduction. The truth is, a balloon doesn’t have ONE most important part. Without the rubber material there’s nothing to start with, without air a balloon never finds its shape and purpose, and without tying it a balloon can’t sustain its purpose. If we see a disciple’s life as a balloon, most disciple makers focus on putting air in, but don’t know how to tie it off. Developing personal vision is the most intentional thing disciple makers can do to ensure their investment will yield a long-term return. Understanding the need to tie the balloon is different than knowing how to tie one. In part TWO, we will learn how to develop personal vision in those we disciple. Older PostHow Do You Know When You've Made a Disciple?